An outdoor loveseat with a sophisticated look and an understated presence, this Monterey piece is a wonderful addition to your outdoor space. 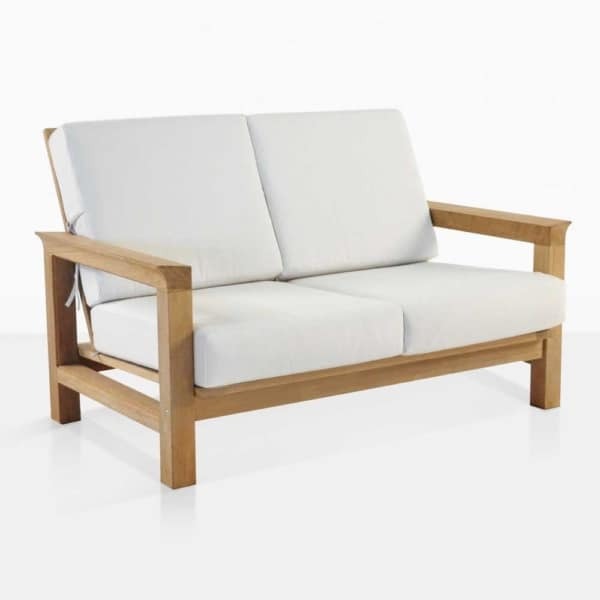 This outdoor loveseat can easily blend with other high quality pieces of indoor or outdoor furniture, but it also has a look of its own. W55" x D38" x H35"
Most notably, are the strong looks and comfort of the angled arms, and the square upright stance with the slightly relaxed posture of the angled back. Combining these strong features with the soft and fade resistant qualities of the Sunbrella® cushions, you’ll be enjoying wonderful afternoons relaxing and enjoying the outdoors. 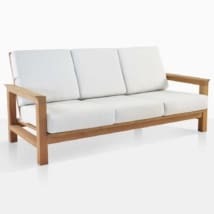 Built to be beautiful but not necessarily to detract from other important pieces in your furniture collection, this teak outdoor loveseat is ready to impress with its abundance of features and subdued good looks. You might imagine this piece on a windswept beach to set the perfect scene for an outdoor dinner party at a five star hotel. Perhaps you imagine it in you contemporary backyard, next to a beautiful stand of Calla Lilies. You might even imagine it somewhere on the Monterey peninsula where it got some of the impetus for its name; the sound of the waves crashing onto the cool sand of a beach on sunset, with cypress trees behind it on the cliffs. No matter where you imagine it, you’ll probably be right. The Monterey outdoor loveseat has a balance that is uncommon for pieces with this much beauty. 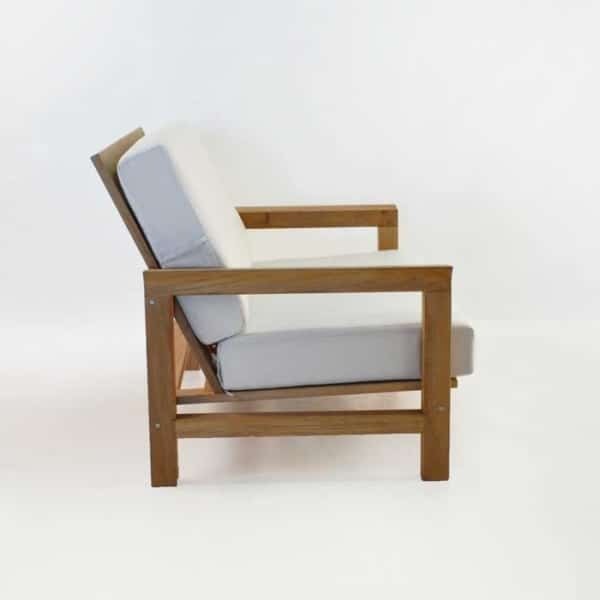 It’s ability to blend in, but also to stand out, sets it apart from the rest of the two-seaters (loveseats) you’ll find made in teak. 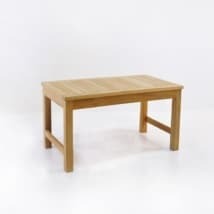 It has strong arms and legs, a nice posture and enough comfort to make spending an entire day on top of it, just the start of your journey. The warmth of the A-Grade teak gives a certain character that cannot be easily found in more mainstream furniture. 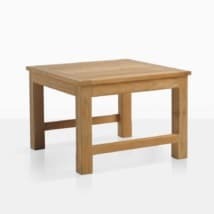 Add to that, the graceful aging of teak and if you choose to let it naturally develop a patina in the outdoors, you’ll one day be using a piece of furniture that has followed you along in your journey through life. 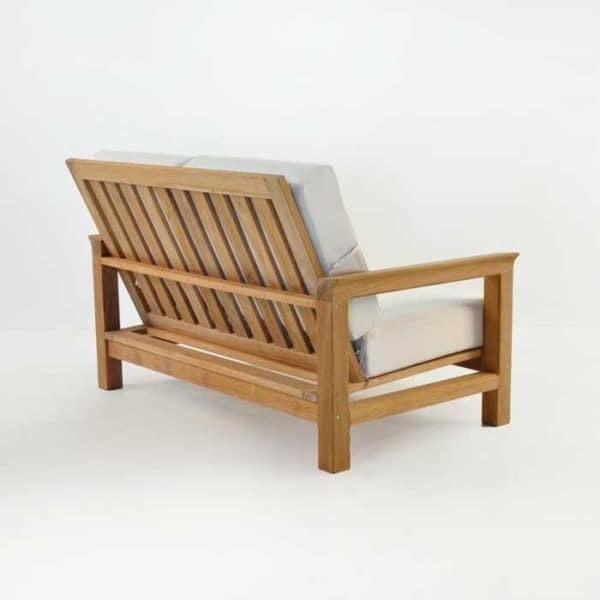 The silver gray tones of the sun blanched teak reminding you of the best times spent on this legacy piece of outdoor furniture. It Is those silver and grey surfaces that will remind you of the beauty of something natural and built to last. The fade free Sunbrella® fabric will remind you of the quality you purchased. 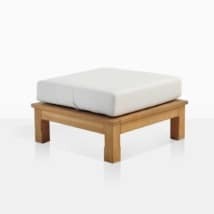 It is the comfort of these cushions that will provide you with years of wonderful moments upon a beautiful piece of furniture enjoying time with friends and family. 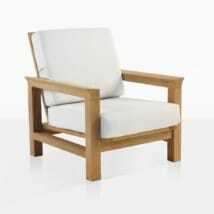 It is this type of piece that becomes a timeless favorite, not just any old outdoor loveseat.